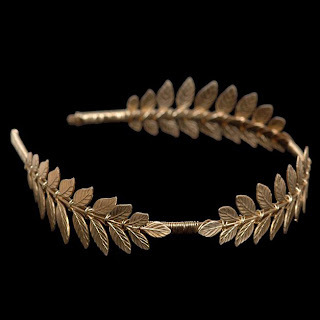 While the Greeks were never historically good at warfare, they did top the charts with astronomy, art, and yes, fashion. To celebrate the fact that they spent more time getting dressed than fighting off the Romans or Turks, I give you today's blog. 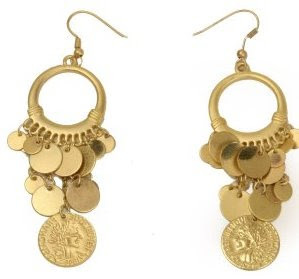 These coin earrings are only $3.99, can you believe it? Obviously not real gold, but still, they have such a flair about them that you can't help but look stunning. 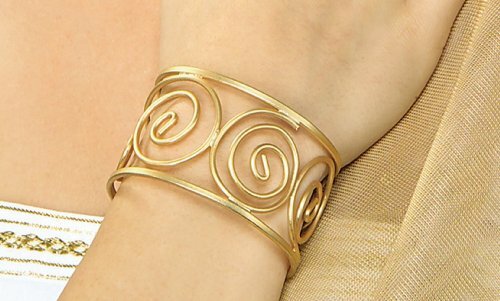 yourbigstore.com offers this costume cuff, but so what if it is costume jewelry? No one has to know, and besides, it's not garish or gaudy. It gives the right amount of Greek chic for a low price. You're headed in the right direction, but is your head in the right direction? Get this leafy headband, also in gold, from theglamazondiaries.com. It gives it a Greek goddess feel, enough to make you look jazzy and fun, but also serious and fashionable. platinumblondelife.com offers this gorgeous photo of Hayden P. wearing a lovely gown. There are many different things in this genre, enough for everyone, so definitely look around, see what there is for you! 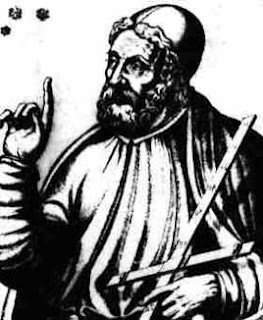 Ptolemy agrees: Dress the part!